Stock status is current as of 4/18/2019 10:45 PMET. Swing-arm mounts are designed for those customers who want a compact, freestanding unit for maximum mobility. 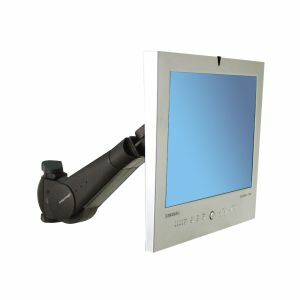 Ergotron offers a variety of products to mount your IICON operator display onto horizontal and vertical surfaces such as desktops, walls, or electronic systems. This rotate, triple pivot monitor arm with 100 mm hole pattern is designed for vertical mounting.